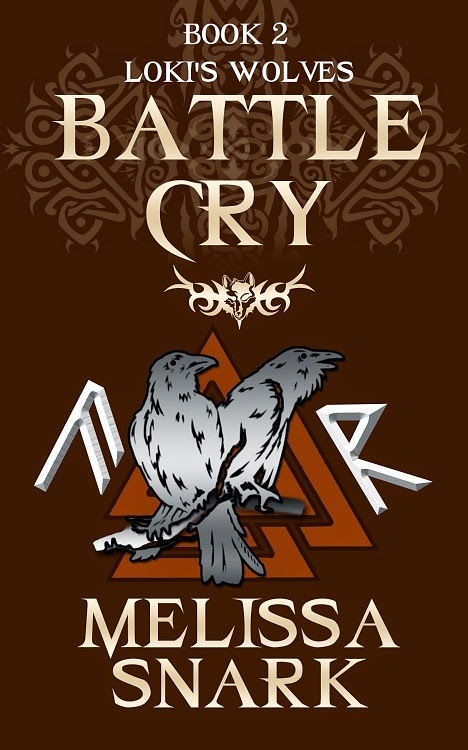 Today in My Writing Corner I am spotlighting multi-published author Melissa Snark and her newest book, Battle Cry. 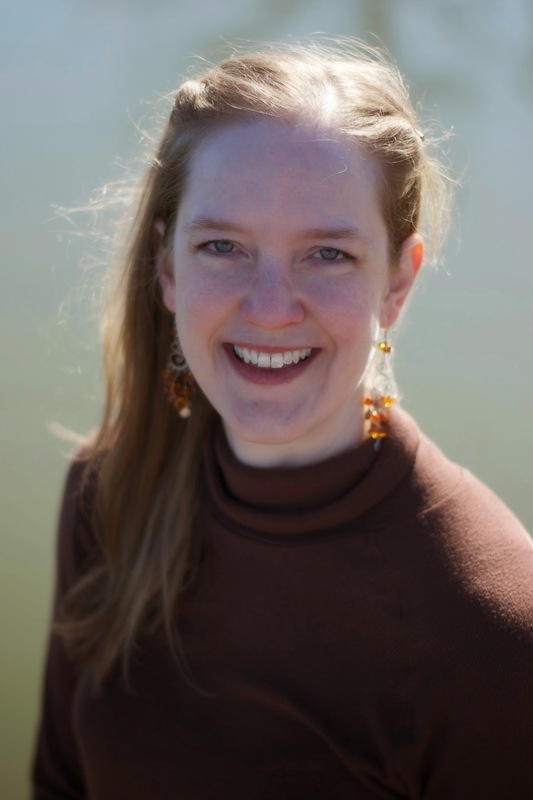 Melissa is published with The Wild Rose Press and also has several independently published books. Her latest title is part of her Loki's Wolves series and it sounds like another great book that is going on my To Be Read list. Melissa is also well known for her satirical wit and her popular blog The Snarkology. If you'd like to reach her, here is how to contact her. Thanks, Melissa, for sharing your book with us today. Any comments or questions for Melissa? 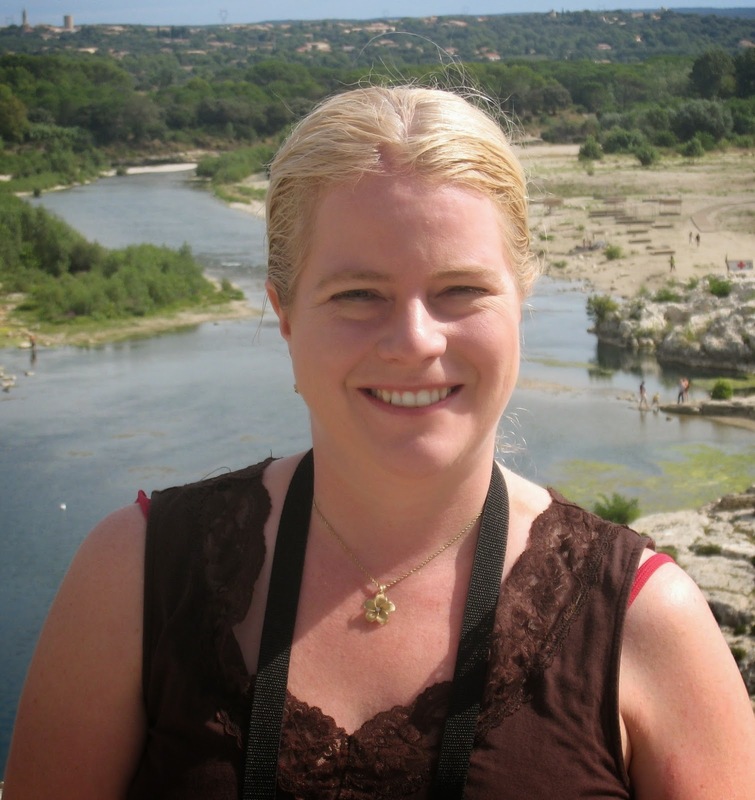 My guest today is fantasy author, Karilyn Bentley. Welcome to My Writing Corner. Did you always want to be a writer? Your website says you write fantasy with a touch of humor. How did you decide to write that particular subgenre? Well, I like the supernatural, be that paranormal or fantasy. And my books have some humor in them (my sense of humor, that is!). You can't be serious all the time. 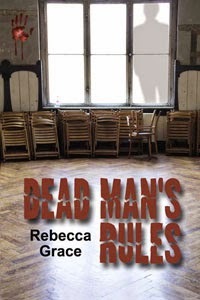 And I hope the brand helps the reader know that my books are a mostly lighthearted romp even if they appear a bit dark. I won a contest at The Wild Rose Press for a werewolf novella in their Got Wolf anthology. I was one of the six winners. I kept hitting the refresh on the computer since winning seemed surreal. <g> After the anthology was published, I asked my editor to take a look at Magical Lover (the first book in my Draconia Tales series). She politely declined, so I countered with an offer of rewrites. After several more rewrites (yeah, it was that bad at first) she accepted it. I've been with TWRP ever since. Tell us about your latest book, Demon Lore. The cover is fantastic. I love this book! It's been my favorite book to write. It's an urban fantasy and features Gin Crawford, a messed up ER nurse who also happens to be an empath. She discovers a magical bracelet that gives her demon and minion fighting powers. She's not happy about this discovery. The series is her story of how she comes to accept her new gifts. Demon Lore is the first in the series. What a great premise! What gave you the idea for this story? Well, originally it started off as a different story entirely. I kept playing around with it and the idea popped into my head. Gin kept talking to me, so I made it her story. They come into my head. I know all authors say that, but I really have no other way of explaining. I gain insights into their flaws and characters the more I write their story. There were several things about Gin I didn't realize until I completed the book. The second book in the Demon Huntress series and edits for the fourth book in the Draconia Tales series, The Detective's Dragon. Gin Crawford has enough problems dealing with her empath abilities. Finding out she's the world's newest demon-slayer is the last thing she needs. Unfortunately, when she slips on a mysterious bracelet she is given no other choice. On the plus side, her new gig comes with Tall, Dark and Handsome, a mage who may or may not have her best interests at heart. Thrust into a power-play between good and evil, Gin must choose a side before she becomes the next victim in the ongoing battle. Thanks, Karilyn for joining me today and good luck with Demon Lore and the series. Any questions or comments for Karilyn? 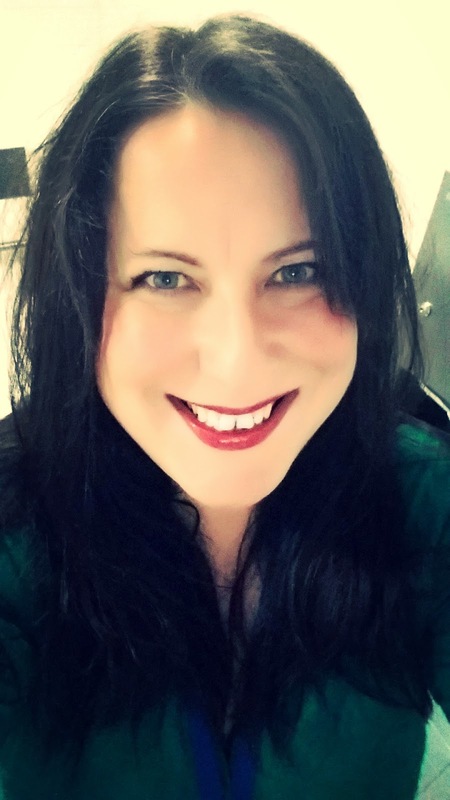 Joining me today in My Writing Corner is romance author, Louise Lyndon. Please share with us a little about your road to publication. How did you get published? I’ve been writing for as long as I can remember. But, for a long while I didn’t actually write anything but was still calling myself a writer. I felt like a bit of a fraud. Then I turned the big FOUR OH and thought, “If I do not do this now, then I will never do it.” I pulled my finger out, finished a story I had in my head for a couple of years and submitted it. I signed a contract with TWRP a couple of weeks after my 41st birthday. Your newest book is Of Love and Vengeance. What a great title and what a great cover! What is it about? It’s about a few things really. Firstly, it’s about prejudices, mainly about how we can tar an entire group by either misconceptions or by the behavior of a few. Both the hero and heroine are guilty of doing this, so we get to see how they deal with this. It’s also about acceptance, not just of each other, but of yourself as well. Laila, the heroine of, Of Love and Vengeance, has a birthmark that covers one side of her face, and she really struggles with loving herself because of it. That is a wonderful premise. What gave you the idea for this story? I spent 16 years living in the UK and while there I loved going to visit all the historical sites – in the UK, you’re not short on historical sites! It was while I was up in York and wondering around some medieval ruins I got to thinking about the people who walked before me all those years ago. I started thinking about their lives, what were they like…anyway, while strolling through the park in York a line of dialogue popped into my head, “Carac will be able to protect you and the babe…” That was it that was all I had. It developed from there. I tend to have snippets of scenes popping into my head that’ll get me thinking, ‘What happens if…” I’ll think about the scene for weeks, sometimes for months, just working stuff out in my head. Slowly, the story will develop from there. What about your characters? How do you develop them? Truthfully? I don’t do what is drummed in to perhaps most of us writers – that is, start off with a character sketch. I’ve tried doing them in the past and I just draw a blank. So I’ll just start writing a scene. Now, that scene could appear anywhere in the story, or nowhere at all. And the more I write, then the more I get to know the character. There is a lot of going back and forth when I write. As I discover something about the character I’ll go back and layer that in. I never start off with a totally blank character, I may know a couple of things about them, but it’s safe to say I develop them as I go along. I tend to research as I go along. For example, I have a birth scene in Of Love and Vengeance, so I asked myself, ‘what did they do for labor pain in medieval times?’ So I researched that snippet of information. I’m not someone that does the research first, I do the writing and then do the research to see if such and such could really happen/did happen/was possible in medieval times! Yes, because I need to know where I am heading. I just don’t necessarily know what happens in the 300 plus pages prior to typing, The End! I am working on a story tentatively titled, Of Love and Betrayal. It’s set in medieval times and takes place about fifty or so years after, Of Love and Vengeance. And it may, or may not, have some of the same characters in it! On your website you mention falling in love with the books of Diana Gabaldon. What touched you about them? Oddly enough, I am not going to say Jamie Fraser! Although, after about book two he played a major role in keeping me reading the series. I like reading about strong, intelligent women who can take care of themselves, while at the same time not being so independently strong they don’t need anyone to look after them on occasion. At times, we all need a little help along the way. That doesn’t make us weak, that makes us sensible! And Claire, I feel, is all of those things. Also, I just love how DG weaves the history through her stories, without making it feel like a history lesson. 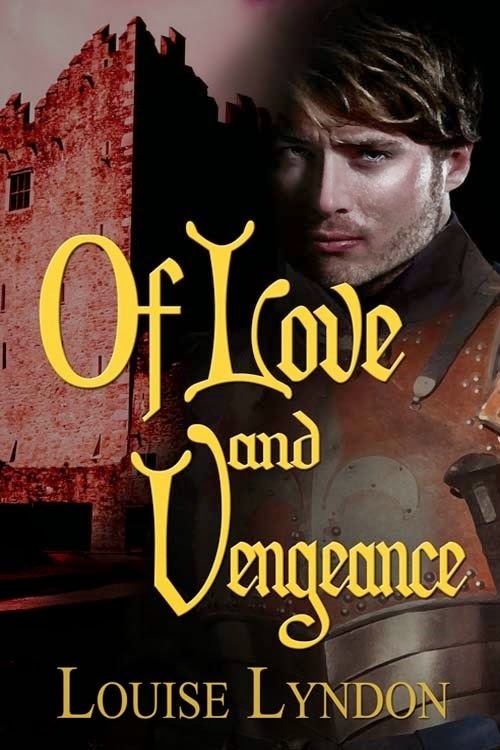 How about a blurb for Of Love and Vengeauce? Thank you so much for being my guest, and good luck with Of Love and Vengeance. Questions or comments for Louise? Today's guest in My Writing Corner is Abigail Owen. Did you always want to be a fiction writer? Always. I’ve been writing stories since childhood, but I didn’t finish my first book until about seven years ago. And I didn’t start seriously perusing the dream until about three years ago. I started with self-publishing. 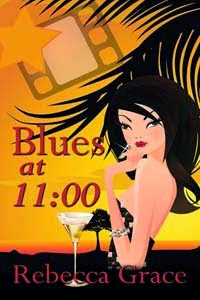 My thinking was that if my first book – Blue Violet - didn’t get laughed off the face of the earth, I’d keep going. When I received positive feedback, and especially after won my first award, I decided to continue to self-publish and pursue traditional publication at the same time. The Wild Rose Press was my first YES! I happened to see an article in the RWA monthly magazine talking about new presses including TWRP. They sounded like a great fit and so I sent a query expecting yet another “no” and got a “yes” instead. I can’t begin describe how thrilling that was (as a writer, you’d think that would be easy, but nope)! Tell us a little about your newest book, Andromeda’s Fall? 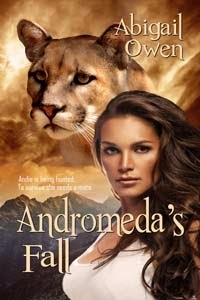 Andromeda’s Fall is centered on Andie Reynolds, a mountain lion shape shifter who has escaped her own dare (like a pride) and is seeking asylum with the Keller Dare. She has two problems though. The first is that she could still be extradited unless she marries someone in the Keller Dare. And the only person powerful enough to protect her would be Jaxon, the Alpha. Her second problem is A.J., one of the Alpha’s Protectors. He insists that he must vet her first before letting her anywhere near the Alpha. When sparks fly, Andie has to decide between her heart and her life. That's a great cover. I understand this is the first in the Shadowcat Nation series. The series sounds fascinating. What gave you the idea for the Shadowcat nation? Thanks! The initial idea came from a single scene. I pictured a mountain lion shifter on a cliff. She’s standing post, protecting her people. Above her is a male mountain lion, secretly observing. She has something to prove. That’s it. From there I had to figure out what she had to prove, why, what the world was like for them, and where they needed to go from there. The concept of the Shadowcat Nation world itself ended up coming from my research into mountain lions. I recently wrote a blog post about this if you want to find out more. What are some of the stories you are working on for future Shadowcat books? The 2nd book – Sarai’s Fortune – is in my editor’s hands now! I plan for this to be a 4-book series each with a different heroine/hero. They continue to fight the same villain(s) through the series, and to try to figure out how the Shadowcat Nation – which is a delicate and relatively new alliance of cougar shifters – works. With the books upcoming, I’ll bring other types of shifters into it more (on top of the cougars, wolves, and polar bears already in AF). I’ll also have more with the Kuharte – those few shifters who have additional supernatural powers. And we’ll continue to see the original characters throughout. Here’s to a fun ride! How you develop your characters for this series and other books? My characters are developed through two parts of a process. Before I write, I figure out my characters – I find a picture of an actor that fits what I’m thinking. I try to decide what personality they have. I recently did a great workshop on character development that suggested using astrological descriptions of personality to help discover your characters. I loved that idea and have started incorporating it. So I do my “research” first. But my characters sometimes surprise me when I start writing. It’s that pantser part of me I guess. I recently had a character who I wanted to come across funny and carefree who turned out to be serious and closed off. I even tried to rewrite her scenes, but she was determined to be serious. And it worked better for the book I think. I usually know exactly how it will end. The beginnings that are hardest for me. A full backstory develops in my head and I always have trouble figuring out where in that story to jump in with my readers. Then, getting my characters to the ending is always an adventure. I’m an odd mix of mostly pantser with a little bit of plotter (very high level) when I write, so the middle is where I’m most often surprised. Don’t wait for praise, but do seek feedback from people you trust and use it. Don’t stop after the first try. Do keep writing, and writing, and writing. Don’t wait for that “perfect” idea before you start. Do take classes and workshops. Don’t assume someone else can tell you how to write – incorporate what works for you. Don’t think there’s only one way to do this. Do research editors/agents you’re querying. Do spend money on a good editor/beta reader. Do help other authors out – this is a great community of supportive folks! I’m a very fast reader with lots of interests. Romance is probably 80% of what I read (paranormal and contemporary mostly but also historical) with the other 20% dividing out between fantasy, science fiction, classics, business, historical, and – these days – lots of self-help writing/publishing stuff. How about a blurb about Andromeda’s Fall? Get a peek into this new series now. Read Hannah’s Fate, my short story in the Here, Kitty Kitty anthology. Ah, the fun part! I love hearing from readers and other writers. I’m on most of the big social media – so it’s very easy to get in touch. Here are my links. I’d love to hear from you! Thanks, Abigail and good luck with Andromeda's Fall and the Shadowcat Nation series. On Saturday I hit the magic number – 50,000 words. 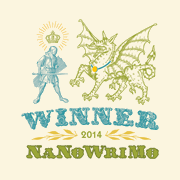 That is what it takes to win at NaNoWriMo, National November Writing Month. Thousands of people around the world spend the entire month of November pounding away at their keyboards or sitting down with pen and tablet trying to write a novel of fifty thousand words. + This year I won at NaNo for the fifth time. Hopefully it won’t be the last. The best part about doing a solid month of writing so much is that it means you have a good chunk of a novel done when you hit the last day of the month. The bad part is that for me that is still only two thirds of the way and I still have a third to go to finish it, plus the editing process. 1. You have a novel nearly completed with only editing and some additions to make. The words as there, the plot just needs to wrap up. 2. You’re not alone. You can look at the website and see all the places around the world where people are taking part. We also have an active group writing here in Denver and there are always write-ins or writing sessions where you can go and commiserate with fellow writing addicts even late into the night. 3. You end up with a sense of accomplishment at the end. I like that feeling I get every day when I fill in my totals and see it rise either to the bar that means I am keeping up with the daily word count you need to finish on time or go above it to give me some breathing room when I knew I couldn’t write all day. 4. It provides a good refresher in how to keep writing fast. There are times when I don’t write as much but when NaNoWriMo comes along, I know I will be plugging away at getting my fifty thousand words written so I have everything prepared and ready to go and just sit down and write. That is good practice for the rest of the year. 5. It also provides a nice sense of accomplishment at the end of the month when I see what I can do if I only set my mind to it. Some days I wrote up to 4500 words, and that shows me I can do that if I have a story to tell and the will to do it. This year my project was called Return to Redfern. 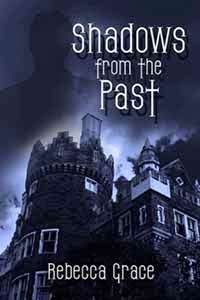 It’s a follow up to my book that came out two years ago, Shadows from the Past. The big house I used in that book, Redfern Manor was one of those places I just couldn’t get out of my head. I had to go back so while my original heroine has moved on, I have someone else who is haunted by that place, and just has to go back. In a few days I’ll be starting my edits on it, something I know I wouldn’t be doing if I hadn’t taken part in NaNoWriMo!